← Why Not Try This? – Let Christ Shine This Halloween! Bria n Cladoosby was elected Oct. 17 as the first Seventh-day Adventist president of the National Congress of American Indians (NCAI). Cladoosby is an elder in the Ferndale, Wash., district and a member of the Lummi Adventist Company. 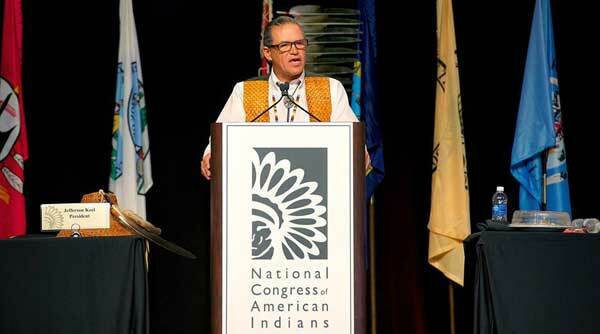 He is now the 21st elected president of the NCAI and the first person from his tribe to head up the organization. He has served as the chairman of the Swinomish Indian Senate — the official governing body of the Swinomish Indian Tribal Community — since 1985. In 2012 he was the top honoree for Ecotrust’s Indigenous Leadership Award. Read more about this post. Kelly Bock, Washington Conference vice president for education (pictured on left), has announced that he will retire from his post at the end of the year. 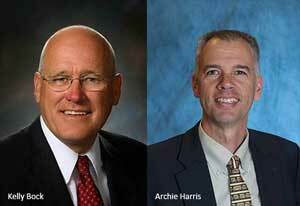 Bock, who came out of retirement to fill the Washington role, will be replaced by Archie Harris (pictured on right) who is Bock’s current associate. A graduate of Walla Walla University, Harris has more than 25 years of educational experience throughout the Northwest in Upper Columbia and Montana conferences. Read more from the Washington Conference. Tom Russ ell, president and CEO of Adventist Medical Center (AMC) in Portland, Ore., has been named vice president of population health innovations for Adventist Health corporate headquarters in Roseville, Calif. Russell will focus on collaborative relationships leading to network growth and other partnerships, effective January 2014. 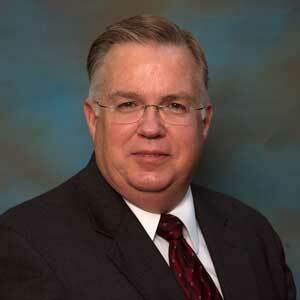 He brings more than 32 years of health care management experience to this new role. 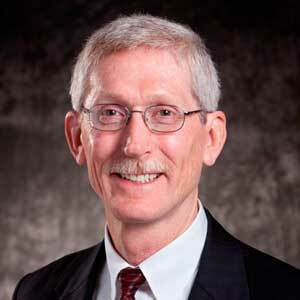 He has served AMC as president and CEO since 2008. During his leadership, the hospital has been recognized in the top 5 percent of the nation’s hospitals for patient safety and is in the top 100 hospitals in America for the care of critically ill patients. Read more online from Adventist Medical Center. D uring its regular meeting on Nov. 13, the North Pacific Union Conference (NPUC) executive committee elected Dennis L. Plubell as the new NPUC vice president for education. He will replace Lanny Hurlbert who plans to retire from that position early in 2014. Plubell is no stranger to educational leadership in the NPUC. He served as Hurlbert’s associate from 1997–2007. Since then he has filled the role of director of secondary education and accreditation for the North American Division. Plubell and his wife, Barbara, currently make their home in the greater Portland, Ore., area. Walla Walla General Hospital (WWGH) is pleased to welcome Karen Kellar, RN, as vice president for patient care for Adventist Health services in Walla Walla. Kellar will assume her new role on Jan. 1, 2014. She comes from Tillamook Regional Medical Center, an Adventist Health hospital in Tillamook, Ore., where she has served as vice president for patient care since 2011. Prior to her experience at Tillamook, Karen lived in Southwest Washington for 16 years and served at hospitals in the Portland, Ore., metropolitan area. At Adventist Medical Center in Portland she served in the clinical decision unit and in recruitment. 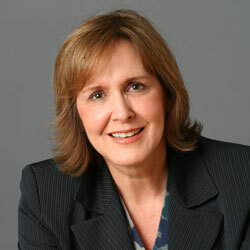 Read more about this new appointment at WWGH online.